Man’s best friend isn’t much of a fan of robots either, it seems. 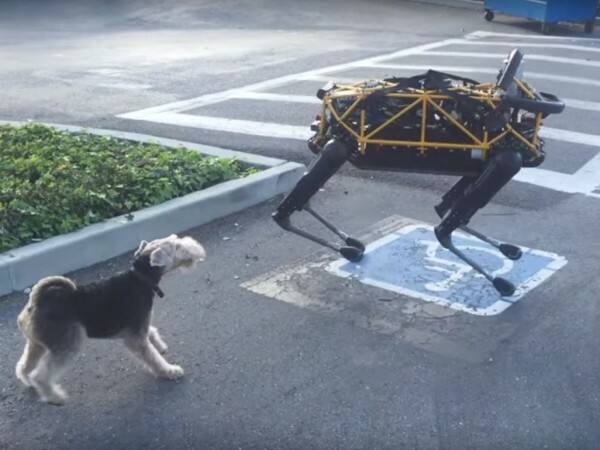 Alex the terrier wasn’t best pleased when he was introduced to a quadrupedal robot named Spot. In a video that suggests dogs, too, get annoyed with technology, Alex yaps, jumps and runs around in circles when he meets the robotic canine designed by Boston Dynamics. But Alex isn’t any ordinary pup – he’s spent his life surrounded by robots. Owned by Andy Rubin, the co-founder of Android, Alex has watched robots grow… so why is he so irate about Spot? 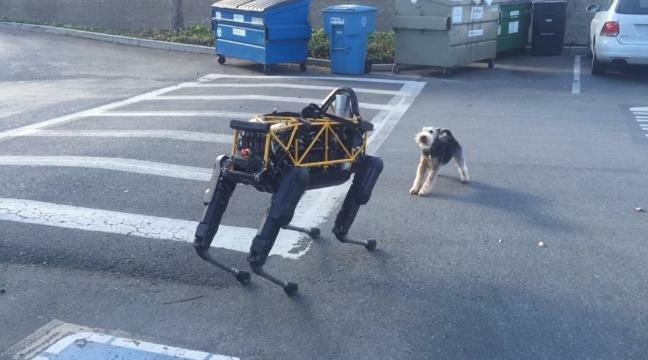 We’ll probably never know, but it’s intriguing to see just how easily a robodog can wind up a real dog. Will these scarily realistic robots soon become household pets, terrorising the terriers in your neighbourhood?